Amy Derksen, ND is a Naturopathic Physician who graduated from Bastyr University with a full scope of practice in Washington State since 2003. She did her undergraduate studies in biochemistry, which she applies to understand the newest research on detox and genetic susceptibilities. She was fortunate enough to do her medical post-graduate training with Dr. Dietrich Klinghardt, MD, Ph.D. During that training, she learned extensively how to use his system of Autonomic Response Testing to help with tailoring a protocol to each individual. 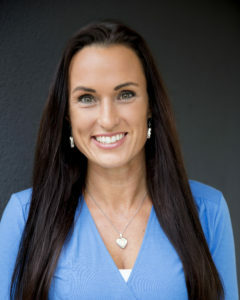 She is one of the first Naturopathic Physicians to become a Fellow with the Medical Academy of Pediatric Special Needs, working to broaden her skills for working with autism and to connect with a network of several seasoned practitioners in the field. She was invited to become Board Certified in Integrative Pediatrics from the American Association of Integrative Medicine, which is typically limited to DOs and MDs. She has become a member of the American Academy of Environmental Medicine to further her education on working with more sensitive and toxic patients and expand her knowledge on addressing inflammation and immune dysfunction. She specializes in working with both autism and chronically ill patients, including Lyme disease. One of her greatest passions is working with children with autism and PANDAS/PANS. She feels that the more we can understand about our kids, the more we will understand everyone’s health.